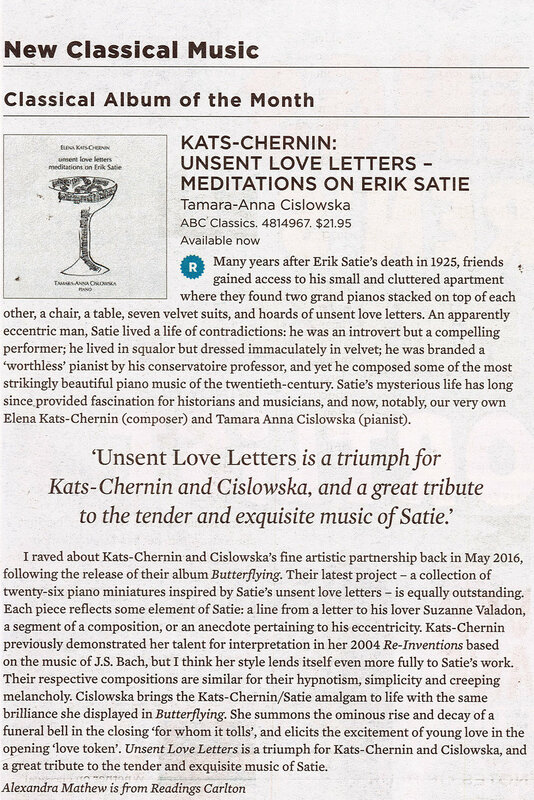 "Cislowska's great gift is to pick up on the saudade inherent in this distinctive, finely-crafted, lyrical music, and project it outwards in an utterly natural, unforced manner. 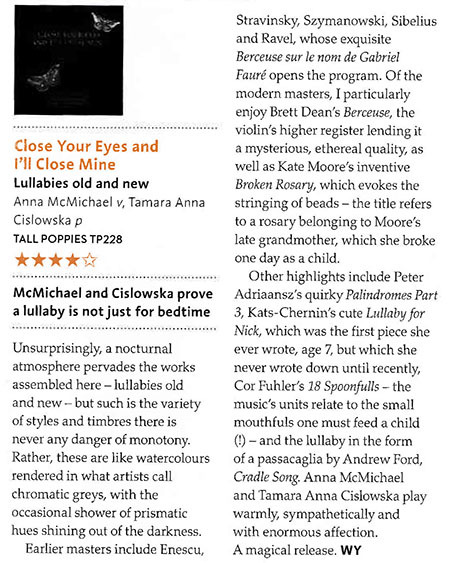 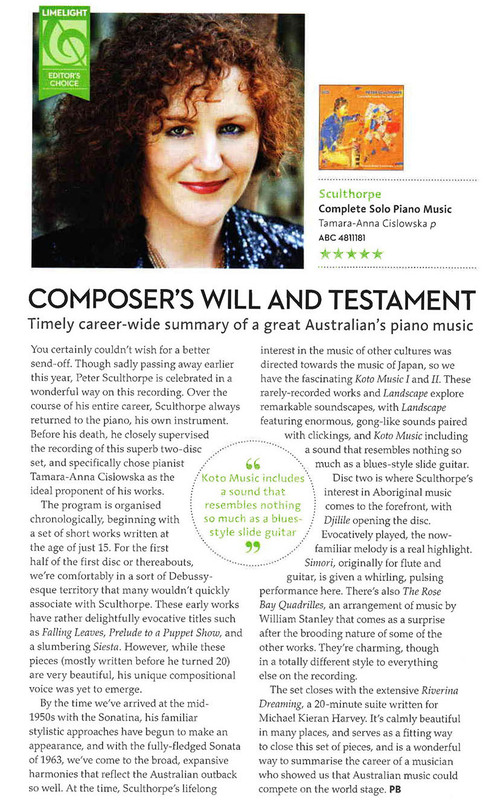 A profoundly affecting release"
"With solid technique, innate sensitivity and interpretative powers, Cislowska commands the music’s changing moods in the 58-track collection... Cislowska’s intelligent, unerring musicianship and strong hand... make this project an Australian treasure." 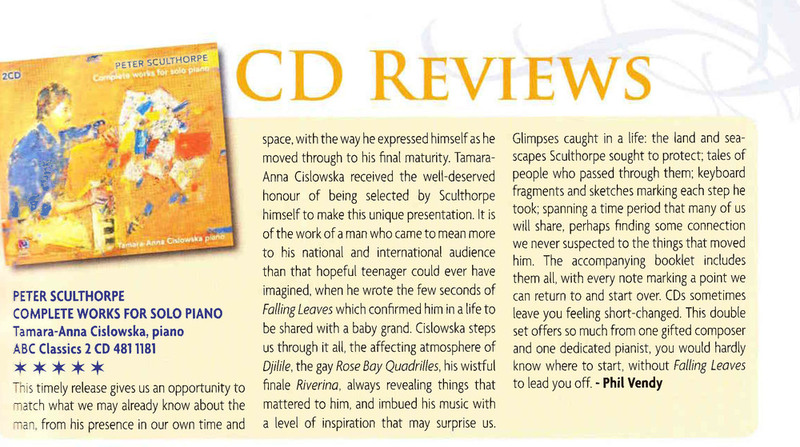 "A highly refined pianist, Cislowska drew kaleidoscopic tones from the instrument, reminding [one] of a young Rubinstein"
"real mastery... extraordinary stamina and skill"
"A perfect combination of artistry and virtuosity"
"Skilful and poetic - a true artist"